2.the so called youth power in congress is nothing but a bunch of elite parachuted from the top. rahul gandhi will no doubt be the next rajiv gandhi – clueless at the top. 3.the hereditary factor – rahul will virtually turn india into the longest running monarchy in asia. 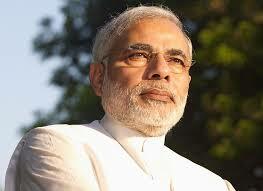 5. mr modi is a self made man. he could be a role model for many with no family connections. 6. he is neither a brahmin nor a kshatriya which is a big relief , as this country had just a handfull of leaders from other casts. 7 its better to have on your face communalism than the shadow one that we have , with fake encounters and counter fake encounters. as you all must have noted my main reason for supporting him is him being anti congress and anti gandhi clan. though he have a whole lot of other darker aspects to him , i think he is a better option mr rahul gandhi. nehru’s experiment of what came to be india , is much debated these days , especially for the huge bureaucracy and the associated corruption it has given rise to ,with some of those commentators terming it a total failure . as another independence day approaches , it is time for a bit of introspection of what we as have become. at the time of independence there were two antagonistic views of how india must move forward. the gandhian and nehruvian path.the first to me , a third generation free indian is a bit insane. gandhi was in favor of grama swaraj , an utopia were villages were self sufficient and the nation was nothing but a federation of these villages. in a world were nationalism is worn on sleeves such a federation would have broken up years ago , with a weak center we didn’t even stood a chance . that is were nehrus india out shined . though much of the government of india act of 1935 was blindly copied , it did give us a sense of unity , particularly in those formative years. today it has become the backbone of modern india . as the fizzling out of the arab spring showed us changes should always be assimilated with time , hence nehru’s decision to adopt the colonial system was the best decision made at the time . he planned to slowly adapt it to the indian climate. but his grand visions for a better india was destroyed by none other than his own daughter. being the politician she is , she adapted the system for her benefit imprinting into the indian psyche the bureaucracy that we have. if we look back it is more than clear that since 1970s no real change have taken place as far as our system goes and the later governments following indiras path nehruvianism was abandoned. it is indira who should be blamed for what we have today and not nehru rather he must be admired for his work of uniting us into a country that is slowly emerging on the world stage.